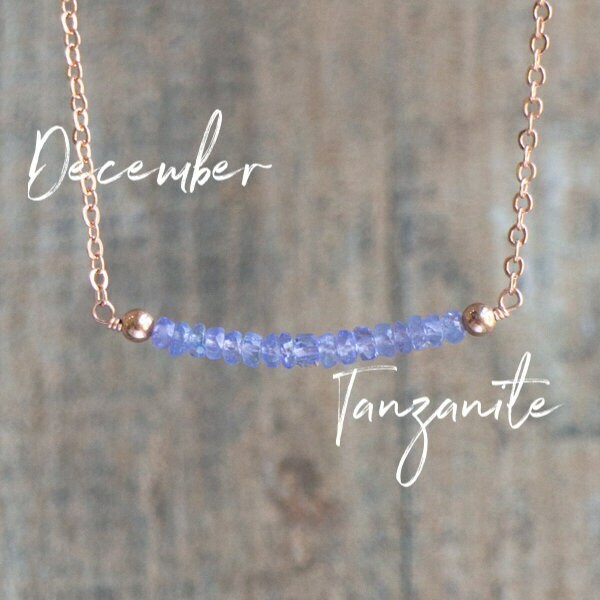 •A beautifully dainty gemstone bar necklace! 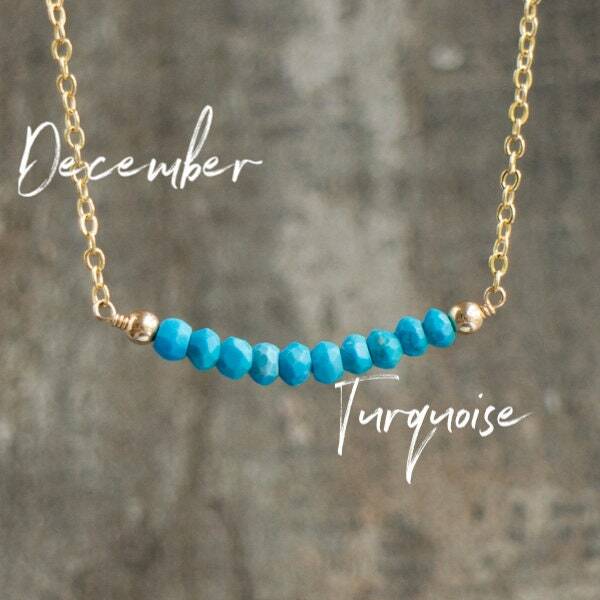 •Would make a great gift for December birthdays or healing purposes. 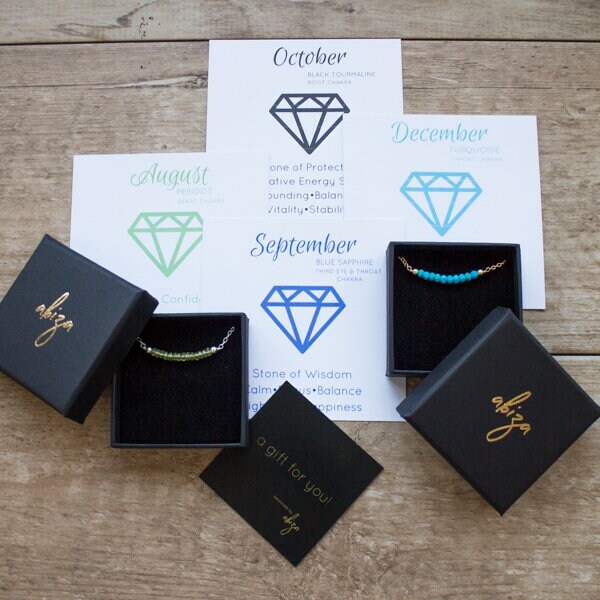 Each necklace comes with a matching crystal information card in a beautiful Abiza Gift Box! 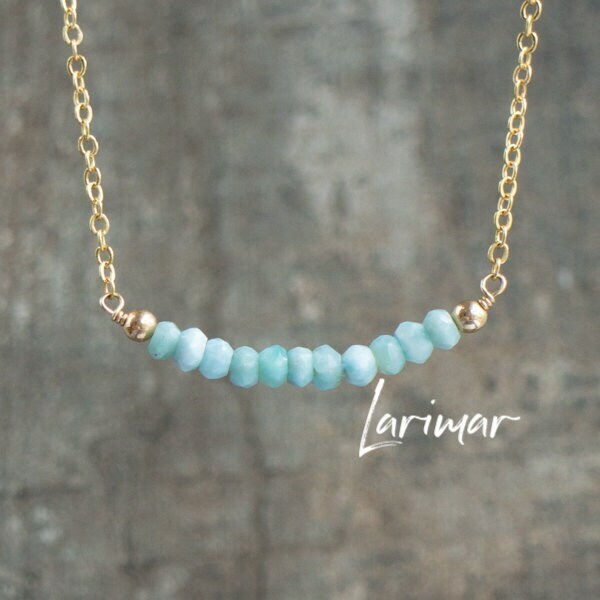 Available in 14K Gold Fill, Rose Gold Fill or Sterling Silver. 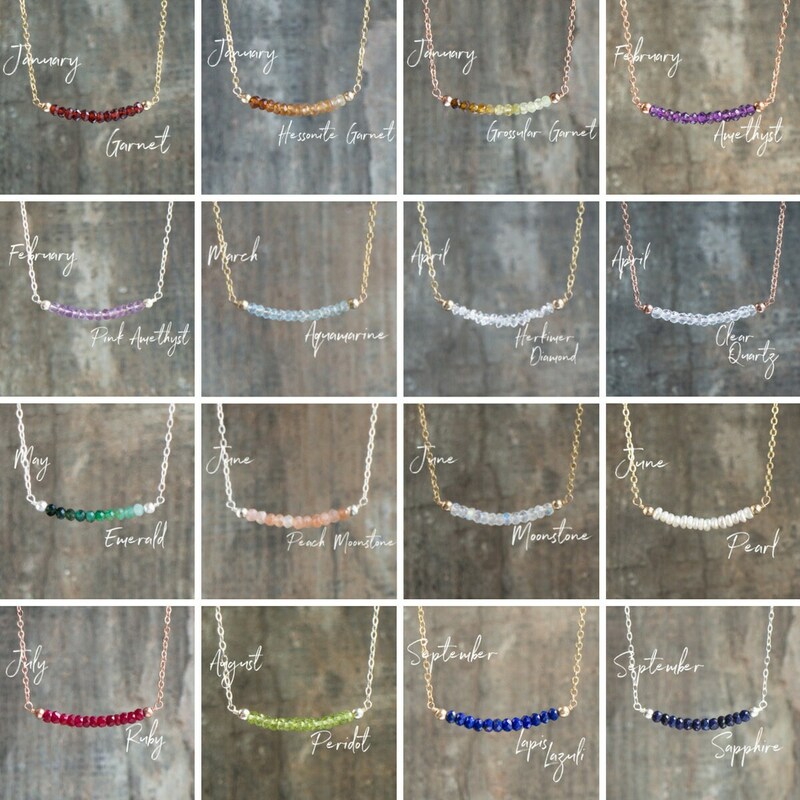 •All natural, faceted gemstone beads have been wired to the centre of dainty yet strong chains, capped with metal beads on each side in your choice of metal. 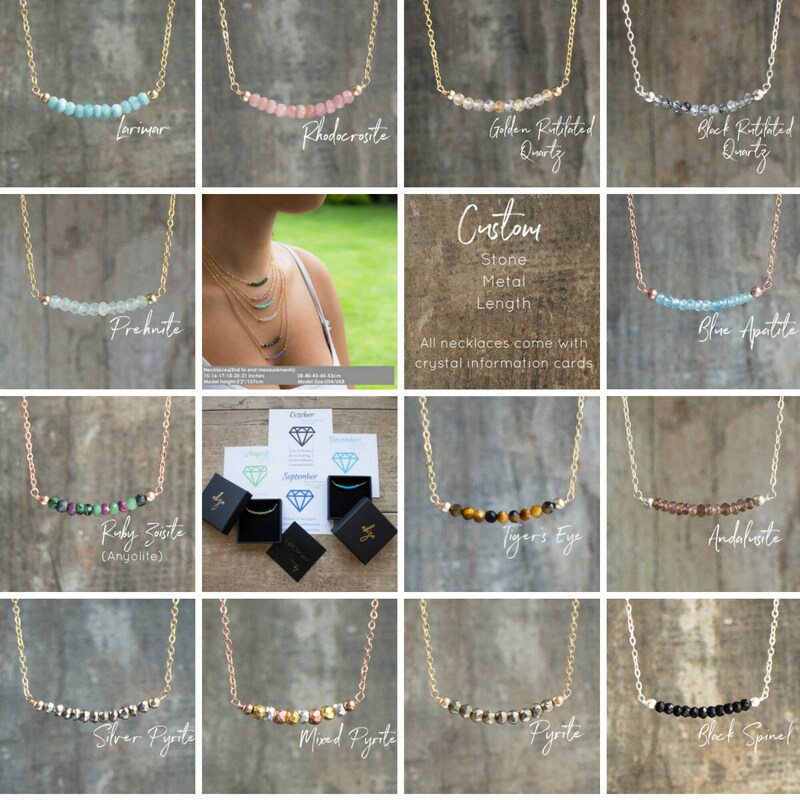 Slightly curved to accentuate your neckline! 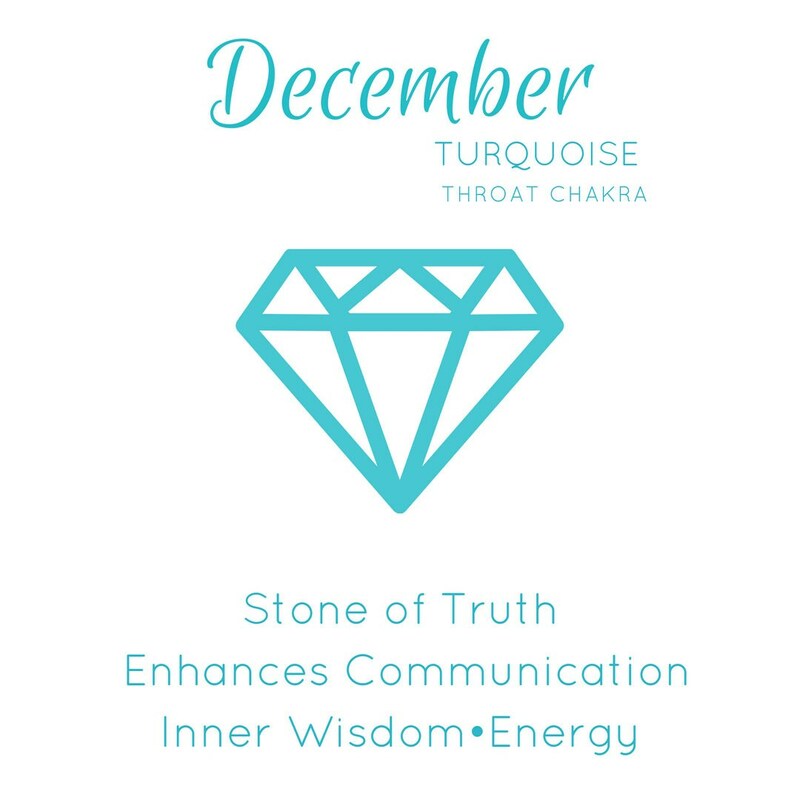 •All birthstones and more available! Fully customisable with 45 stone, 3 metal and 6 length options to choose from. 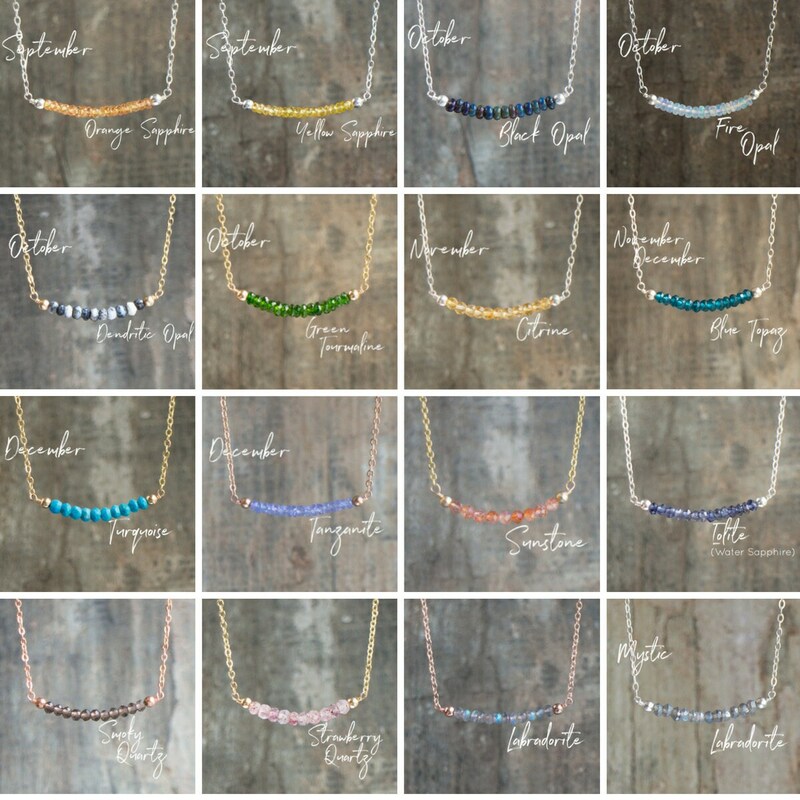 Most gemstone beads are 3.5mm, a few slightly bigger or smaller. 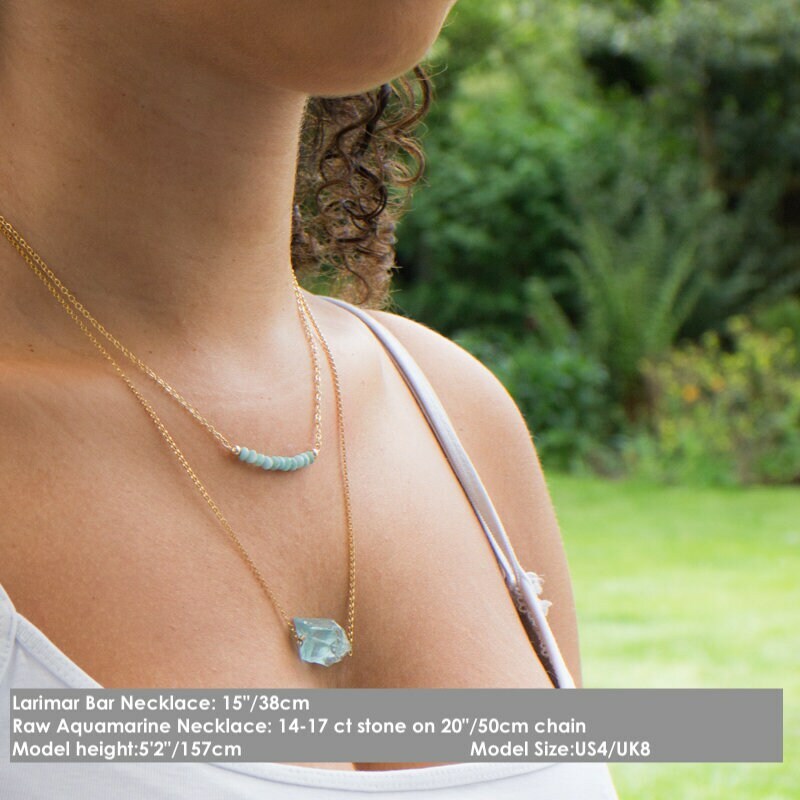 •Please see the 4-5-6th images for the available stones and 7-8th images for the scale. •Your crystal card will be shown in the 3rd image.